Welcome to ToucanTaco.com, the website for Laurel Maryland’s favorite Mexican restaurant. We are located at 315 Gorman Ave. in the heart of Laurel, just minutes from the Baltimore-Washington Parkway and Interstate 95. 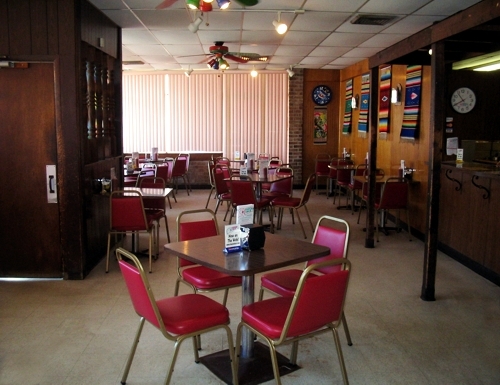 A Laurel landmark since 1972, Toucan Taco began as one of the Tippy’s Taco House franchises. In 1992 the franchise agreement expired and that forced the owners to change the name. Inspiration for the new name came from a family pet, a toucan bird called “Cyrano.” After 35 years of running the business, Laszlo and Lita Payerle decided to retire and sell the restaurant. Their daughter, Ginger, decided that the family business should remain a family business and agreed to purchase it from her parents in January of 2008. Throughout it all Toucan Taco has strived to maintain the same level of excellent quality that our loyal customers have come to expect. From our family to yours….~Enjoy. Sorry, but we can not accept checks, including Travelers Checks. Copyright © 2019 Toucan Taco. The primary reason people choose to purchase a replica watches sale over an authentic watch is the obvious price difference. An authentic Rolex can cost you upwards of tens of thousands of dollars. Why spend that money on watch, when you can get an replica watches quality time piece that is as close to the real thing as possible? Use your savings for a vacation or a new vehicle, and still enjoy the class and quality you can have by wearing a replica watches uk. The reputation that upholds the Rolex name still stands true even for a Rolex replica watch. The Rolex name is known as the best replica watches brand that money can buy. It is a symbol of elegance ad class. You can still choose to participate in the benefits offered by the Rolex name by wearing a rolex replica sale timepiece that carries all of the same features of the original, minus the price tag.